The pig's head left at door of the building. Flowers were left at the door of the centre on Thursday evening. Police are investigating after a pig's head was placed at the door of a Co Down Islamic Centre. 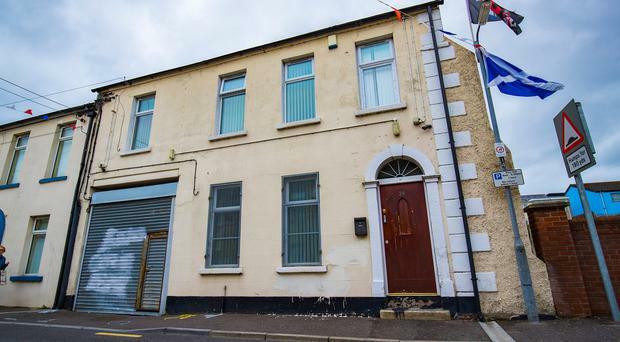 It happened on Wednesday night at around 11.15pm at the Bangladesh Islamic Community Centre on Greenwell Street in Newtownards. Graffiti was also daubed on the wall of the building. A local resident, woken by the noise of the police arriving on the scene said he was sickened by the incident. "I thought it was disgusting," he told the Belfast Telegraph. "It shouldn't be happening. I haven't heard of anything happening like this before. With recent events I think a bit of education is what people need." On Thursday evening flowers were placed at the door of the centre. In a related incident graffiti was also daubed on the wall of a building in the Castle Street area. Alliance Strangford MLA Kellie Armstrong said she was disgusted "there are those who wish to attack a place of worship and in such a sickening manner". “Those who carry out such hate crimes seek to drive a wedge between people here by heightening racial and religious tension. We must all stand together to condemn and defeat them. Police are treating the incidents as hate crimes and issued an appeal for information.